Nestled in the beautiful green suburbs, the retirement villages George has to offer are abundant with bird life and graced with the beauty of the Outeniqua Mountain. Rich in history and culture and situated along the Garden Route, this town is ideal for the senior citizen who wants to relax and enjoy his retirement. In addition to the museums and botanical gardens, George has top medical facilities. We have listed some of the best retirement villages in George below for your convenience. Groenkloof Retirement Village George is located east of Glenwood neighbourhood, a prime location lining the Garden Route. You can enjoy magnificent views of the Outeniqua Mountain in quality low-maintenance homes that feature solar powered geysers and rainwater tanks. 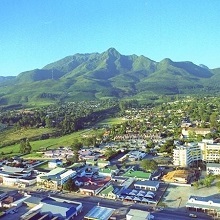 Genevafontein Retirement Village George is set in the majestic natural beauty on the base of the Outeniqua Mountain. It's offered on a sectional title basis and managed by a board of trustees, providing a great investment opportunity for seniors. string(1301) "Nestled in the beautiful green suburbs, the retirement villages George has to offer are abundant with bird life and graced with the beauty of the Outeniqua Mountain. Rich in history and culture and situated along the Garden Route, this town is ideal for the senior citizen who wants to relax and enjoy his retirement. In addition to the museums and botanical gardens, George has top medical facilities. We have listed some of the best retirement villages in George below for your convenience. Retirement Villages George:   Groenkloof Retirement Village George Groenkloof Retirement Village George is located east of Glenwood neighbourhood, a prime location lining the Garden Route. You can enjoy magnificent views of the Outeniqua Mountain in quality low-maintenance homes that feature solar powered geysers and rainwater tanks. Click here for more information... Genevafontein Retirement Village George Genevafontein Retirement Village George is set in the majestic natural beauty on the base of the Outeniqua Mountain. It's offered on a sectional title basis and managed by a board of trustees, providing a great investment opportunity for seniors. 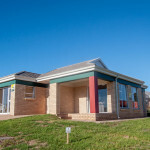 More details here...                    "
string(140) "Nestled in the beautiful green suburbs, the retirement villages George has to offer are abundant with bird life, graced with natural beauty." string(1601) "Nestled in the beautiful green suburbs, the retirement villages George has to offer are abundant with bird life and graced with the beauty of the Outeniqua Mountain. Rich in history and culture and situated along the Garden Route, this town is ideal for the senior citizen who wants to relax and enjoy his retirement. In addition to the museums and botanical gardens, George has top medical facilities. We have listed some of the best retirement villages in George below for your convenience. Retirement Villages George: The Gables at Blue Mountain Retirement Village George BLUE MOUNTAIN Retirement Village George offers a unique lifestyle and comfortable living with great open spaces. You  have the freedom to enjoy nature as well as the privacy you are entitled to. Blue Mountain Retirement Village is conveniently located next to the Garden Route Mall and across from the newly developed Meander. For more information, click here... Groenkloof Retirement Village George Groenkloof Retirement Village George is located east of Glenwood neighbourhood, a prime location lining the Garden Route. You can enjoy magnificent views of the Outeniqua Mountain in quality low-maintenance homes that feature solar powered geysers and rainwater tanks. Click here for more information... Genevafontein Retirement Village George Genevafontein Retirement Village George is set in the majestic natural beauty on the base of the Outeniqua Mountain. It's offered on a sectional title basis and managed by a board of trustees, providing a great investment opportunity for seniors. More details here..."